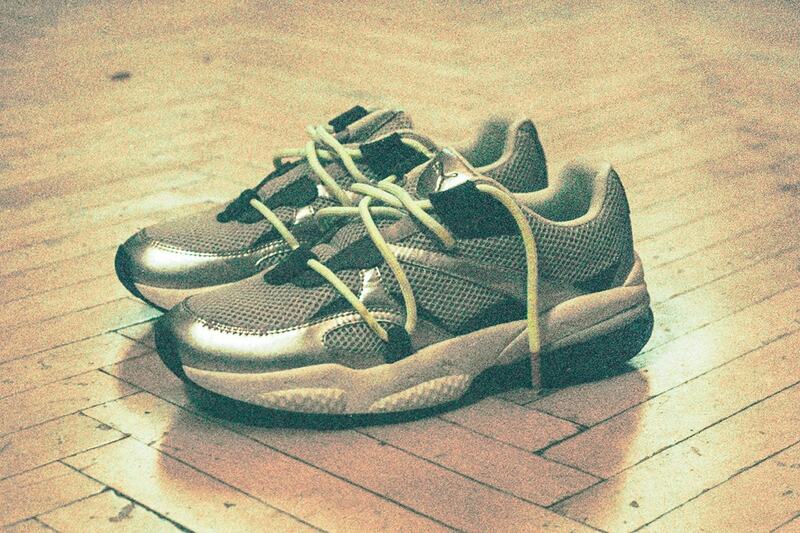 If you haven’t been paying attention to PUMA so far this year, its not too late to start. 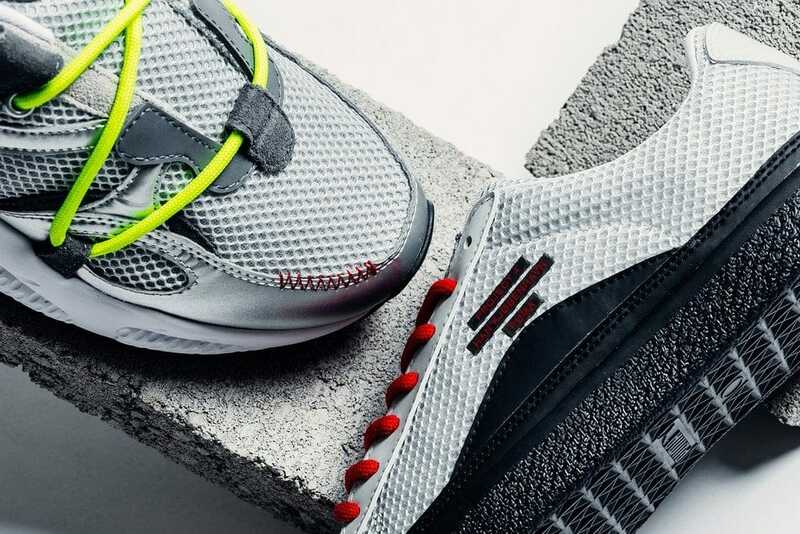 This week, the German sportswear giant released their fourth project with Denmark’s Han Kjobenhavn, showcasing their largest collection of footwear and apparel yet. 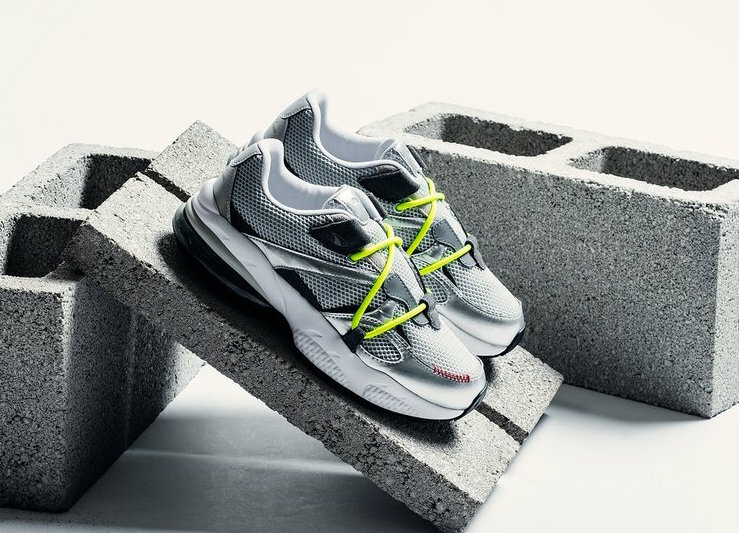 Han Kjobenhavn and PUMA are set to release their highly anticipated PROJECT 4 this week, continuing the German & Danish team up the sneaker world have come to love. 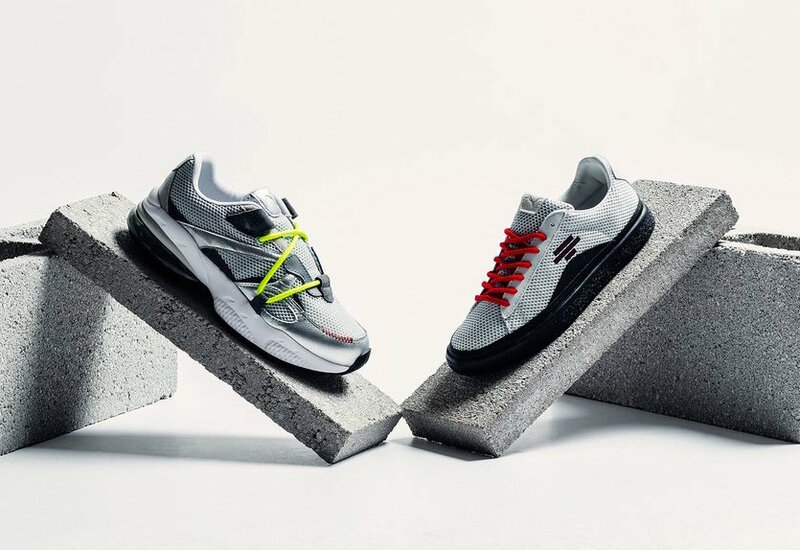 This time around, the two collaborators have cooked four unique new pairs of footwear, sticking to their regimen of rebuilding both new and classic retro silhouettes. Alongside the extensive apparel collection, the theme of the new project has been dubbed “crafted retro”, implying an air of curated stylings from the past. 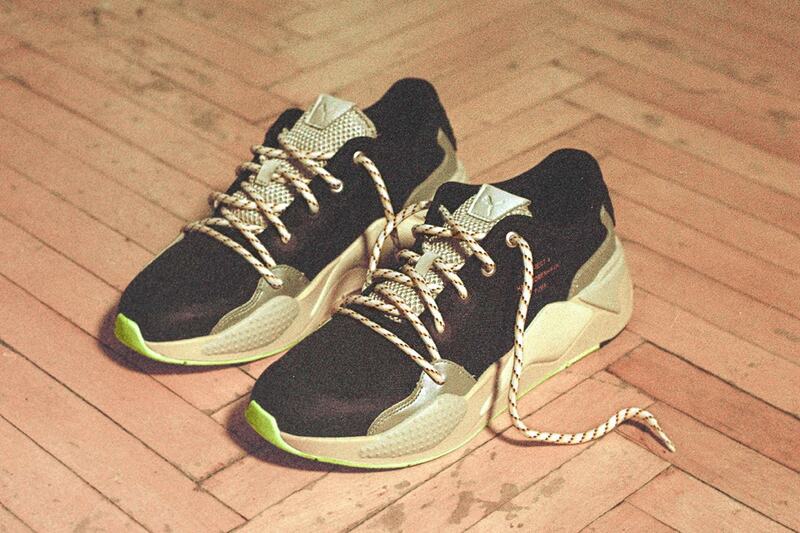 Han Kjobenhaven’s PUMA Project 4 begins with the brands’ new RS-X sneaker. 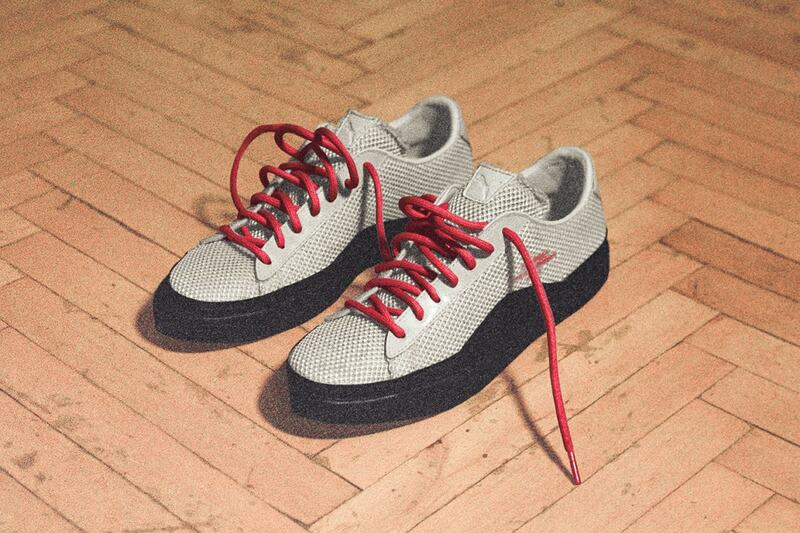 The upper of this pair is almost entirely blacked out, save for subtle red branding on the outer side as well as a silver tongue and supportive overlays along with the toes and heels. Two-tone lace and a neon green outsole complete the RS-X. 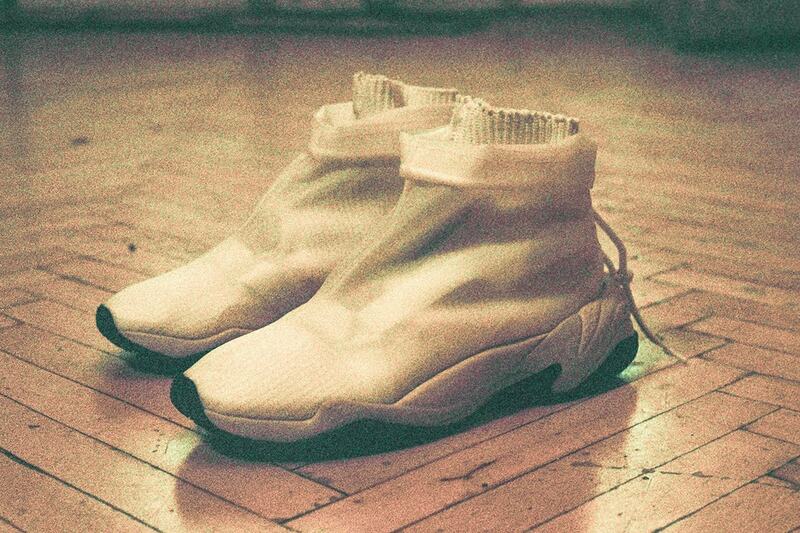 Next up, the chunky Thunder receives a radical new upgrade in the form of a two-piece sock-like upper. The inner piece is made form a deconstructed knit, conforming to fit the wearer’s foot and using nylon straps to help lock it into place. 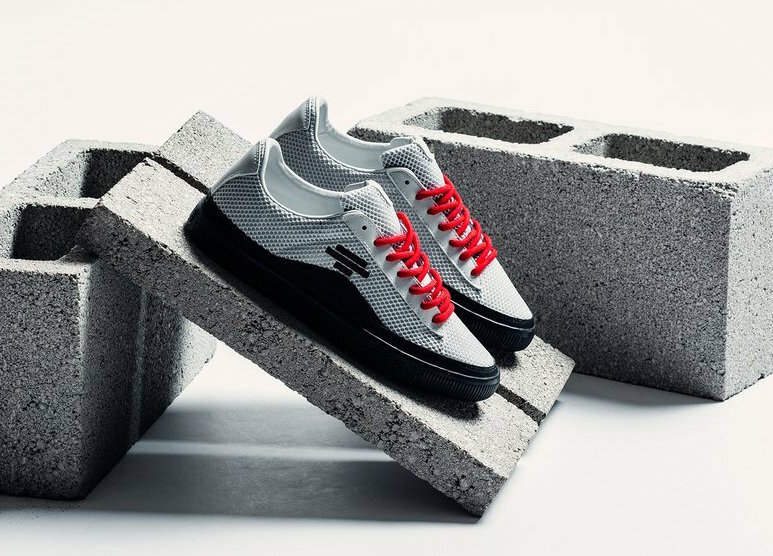 The outer layer is made from a mix of textiles and clear PVC, which will likely show off any colorful socks worn on the inside. Finally, the collection is rounded out by the CELL Venom and the classic Clyde. The Venom features a predominantly metallic silver upper accented with a minimal volt green lacing system, while Clyde’s chainmail-like upper adds a new swooping leather panel to the midfoot. 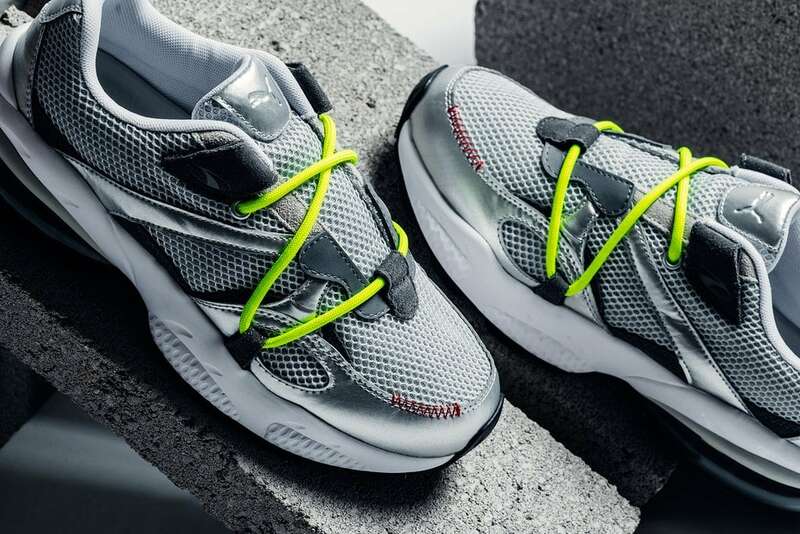 PUMA’s latest project with Dutch designer Han Kjobenhavn became available for presale via the artist’s website on April 12th, 2019. 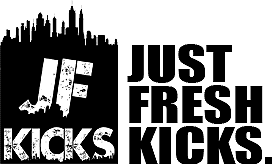 While plenty of both footwear and apparel are still available there, a wider release is also planned for April 18th. 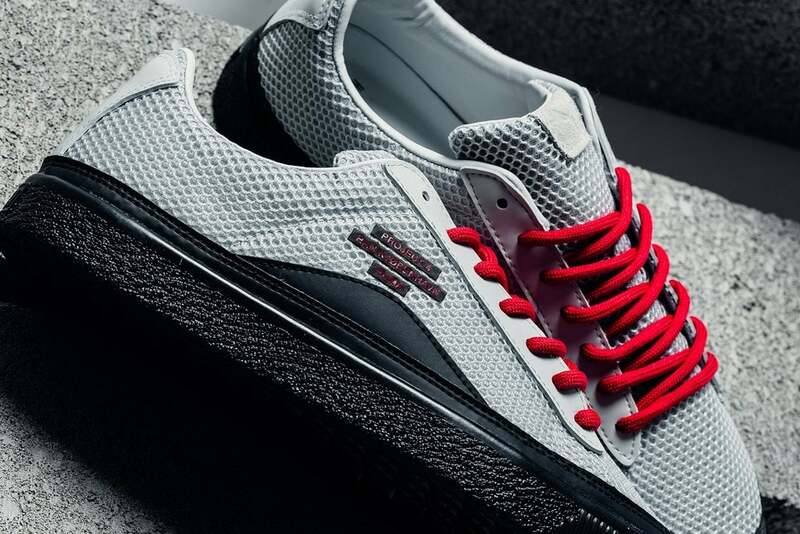 The shoes in this “Crafted Retro”-themed collection ranges in price between approximate;y $100 and $180, an appropriate cost for these designer lifestyle sneakers. Check out the product shots below for a better look at the collection, and stay tuned to JustFreshKicks for more PUMA release news.